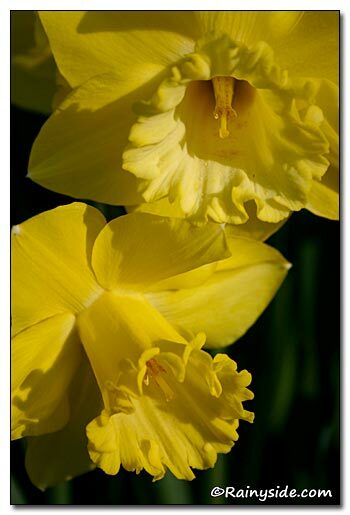 USDA zones: USDA zones: Daffodils will grow in all USDA zones with the exception of southern Florida or warmer areas. Stem bears one flower with a yellow perianth and yellow corona. The corona slowly fades to white as the flower ages. Humus rich, moist, well-drained soil. After flowering, apply a low nitrogen/high potash fertilizer. At planting time, toss bone meal or high potash fertilizer into planting hole. After the leaves dry up, lift bulbs and separate them to increase supply. Deadhead spent flowers to prevent seed formation so the plant's energy goes into the bulb, not seed production. Do not cut foliage off until it dies down. The foliage helps feed the bulb for next year's flowers; it is important that it stay on the plant until it turns brown. Naturalized in grass, the daffodil foliage needs to ripen for at least six weeks after flowering, before mowing. In poorly drained soil, bulb rot may occur. 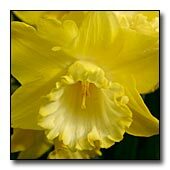 Introduced in 1944, Narcissus 'Spellbinder' is a beautiful trumpet daffodil. It starts out looking like a King Alfred type, but the cup turns white, something the King can not do. It is striking once the trumpets are white. N. 'Spellbinder' is a good choice for naturalizing. 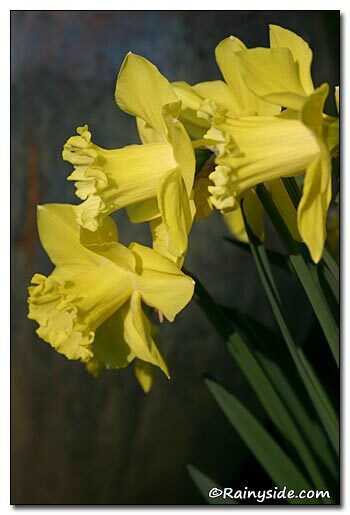 As with many daffodils, N. 'Spellbinder' is first-rate for forcing and is also a wonderful cut flower. Daffodils last four to six days in a vase. Preservatives do not prolong the flowers; this step is not necessary. The blossoms secrete a mucous from their stems that is unfavorable to other cut flowers. Daffodils can be used alone in the vase or hardened for 12-24 hours in fresh water by themselves, with at least one water change. Rinse stems before combining with other cut flowers. 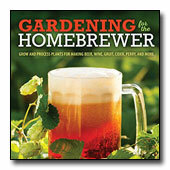 In fall, plant bulbs four to six inches deep and three to six inches apart. The flowers face a southerly direction towards the sun, so you want to plant them with their flower faces towards the viewer. 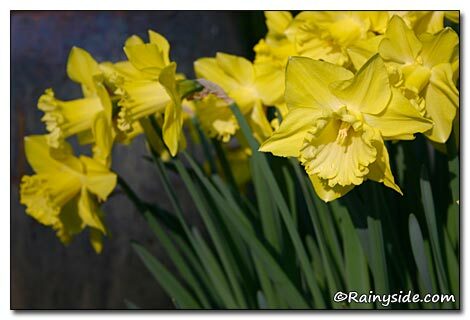 Daffodils are harmful if eaten and the bulbs can be a skin irritant.